Pompeii was a Roman city situation on the sea. It was a bustling place, full of life, leisure, and commerce. Above it stood Vesuvius, a sleeping giant that none in the city believed to be a threat. There were the occasional quakes, but they were minor and became just part of the city life. Little did the people know that the quakes were a warning and soon Vesuvius would come to life, bringing ash, fire, and death to Pompeii. Pompeii: Wrath of Vesuvius, designed by Jason Little, Dylan Shepherd, Lucas Zerby and to be published by Punch-It Entertainment LLC, will reportedly be comprised of 1 game board, 5 Player cards, 5 Score cubes, 18 Lava tokens, and 84 Warehouse tiles. As this is a review of a prepublished game, I cannot comment on the game component quality. The artwork is minimal, but keeps the game in the theme in which it was designed. To set up the game, first place the game board in the middle of the playing area and within easy reach of all the players. Second, allow the players to pick their preferred Player card or randomly deal them out. 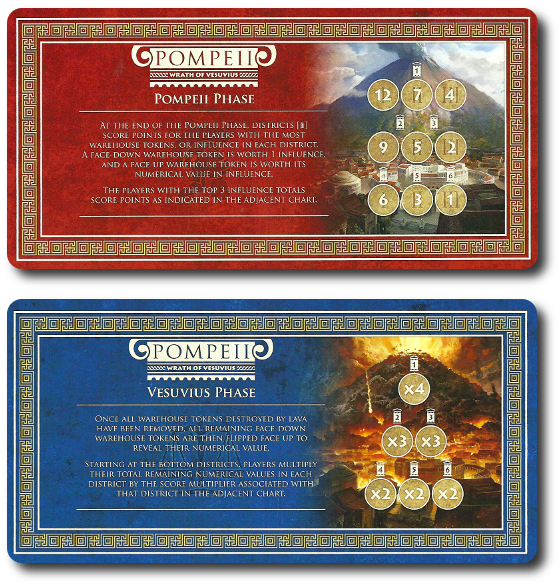 These cards are placed in front of the player with the Pompeii phase face-up. Give each player their corresponding score cube (colors will match the Player cards) and then place all Score cubes on the “zero” space on the victory track found on the game board. Third, give to each player a specific number of Warehouse tokens and Lava tokens. The number given is based on the number of players in the game. There’s not much to the game, but each game bit has a very special role. They are summarized here. 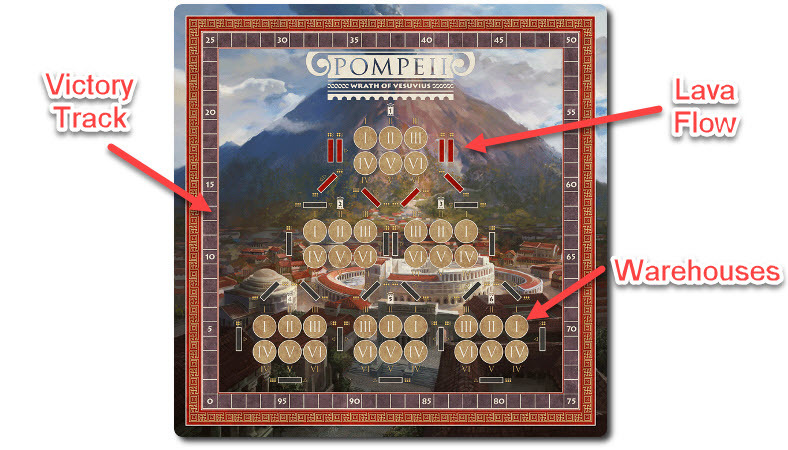 The game board depicts the city of Pompeii’s warehouse districts. Here goods are sold and purchased, money exchanges hands, and influence rules all. Players will be fighting to control the different districts, earning points for having the most influence. The game board also shows the possible lava flow trails through the city and where the Lava tokens are placed. It will be up to the players to actually guide the lava, but it’s perfectly clear from looking at the game board which warehouse district areas could be in greater peril than the others. The Player cards represent the different families in Pompeii that have risen to power. Each Player card is the same other than its color. On one side of the Player card is the summary for the Pompeii game phase and on the other is the Vesuvius phase. Warehouse tokens represent influence and are two-sided. One one side is no number value. On the other is a number value of 2, 3, 4, or 5. There is also an “X” value, which is equal to zero. Players will use the Warehouse tokens to secretly set about controlling different warehouse districts. 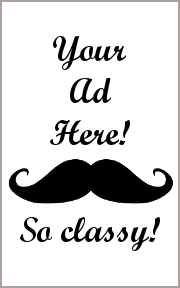 They can also reveal the tokens to earn more influence or less. 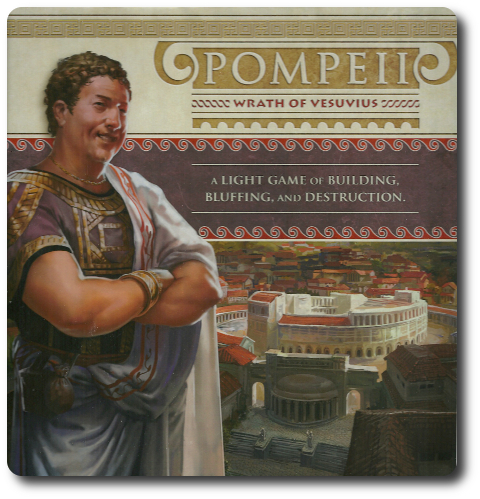 Pompeii: Wrath of Vesuvius is played in 2 phases, several steps, and player turns. A typical game is summarized here. The first phase of the game focuses on the people of Pompeii going about their daily activities. Players will focus first on their business and making money with no idea about the doom that is about to strike the city. Beginning with the starting player, each player will place 1 Warehouse token face-down on the Roman numeral “1” spots found in each district. Players continue to take turns placing 1 Warehouse token at a time until all of their Warehouse tiles are on the game board. The different districts in Pompeii are now reviewed to determine which player has the most influence. By default, each Warehouse token value, when placed face-down, is equal to “1”. A player can, on their turn, reveal the number value of a Warehouse token to have it be worth the number value instead. This gives the player the ability the increase their influence, but at the cost of showing their opponents their Warehouse token values. This step continues until all players have passed. The districts are now scored. The top 3 players with the most influence in each district score points, as indicated on their Player card. Once each district has been scored, the first phase ends and the second phase begins. It’s time to bring an end to Pompeii. Vesuvius now erupts and spews ash into the air and rains down lave on the city, destroying the player’s warehouses. 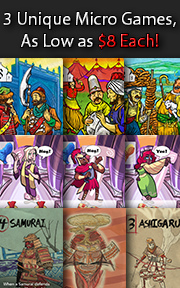 To begin this phase, have each player flip their Player card to the Vesuvius side. Players now take turns placing Lava tokens, starting at the top of Vesuvius and eventually running down into the city center. Lava will destroy warehouses and the Warehouse token attached to it. The path the lava takes is determined by the players and how they direct the lava, branching it into different sections of the city. This step continues until all the Lava tokens have been played. The destruction is complete. Any face-down Warehouse tokens still in play are turned face-up and the warehouse districts are again scored. Players adjust their score using the victory point track accordingly. The winner of the game is the player with the most points. The city now lies under ash and silence permeates the air where once the sounds of the city could be heard. To learn more about Pompeii: The Wrath of Vesuvius, visit the Kickstarter campaign. The Child Geeks had no problem with the game and were, in fact, surprised at how short it was. According to one Child Geek, “Is that it? I mean, I think it’s fun, but is that really all there is to the game?” Admittedly, the Child Geeks are used to much longer games, but the game’s length was only questioned to bring about clarity. After playing the game several times, none of the Child Geeks believed the game was too short or too long. In fact, the Child Geeks found the game to be just right. As one Child Geek put it, “I like how fast the game is, but also how – what’s the word – focused it is, too.” And finally another Child Geek said, “It’s all about grabbing the right warehouse, using the right token, and burning the competition!” When all the games were over, the Child Geeks voted to approve Pompeii: Wrath of Vesuvius, finding it to be a game that hit all the right spots. The Parent Geeks were also impressed, both with the game’s length, but also the depth of the game. According to one Parent Geek, “I was surprised how much thinking I had to do during the game. You have to strategize, memorize, and theorize all in the course of less than 30 minutes.” The Parent Geeks found the game to be a lot of fun with their family and even more fun with their peers. As one Parent Geek put it, “The game works great with all ages and skill groups, but there’s nothing like playing with your friend and watching them frown as you slowly burn all their warehouses down.” The Parent Geeks found the game to be just the right mix of speed and fun. Each phase was specific and the task to complete was clear. The challenge was always focused on bluffing opponents and attempting to deduce their moves. The Parent Geeks had a blast and voted to approve the game. The Gamer Geeks enjoyed the game right from the start. As one Gamer Geek put it, “I like seemingly simple games like this. Light rules, but deep game play. You have to pay a lot of attention and the smarter your opponent is, the smarter you have to be.” Another Gamer Geek said, “A simple game when you first look at it, but it’s surprisingly deeper than I first expected. You have to use your memory, come up with a strategy, and use a few tactics to keep ahead of your opponents. I really enjoyed myself.” The Gamer Geeks all agree that the game was light, but had enough substance to be an easy pick for a game filler. They also liked the fact that non-gamers liked playing a game that they liked, making it all the more possible to get Pompeii: Wrath of Vesuvius to the table. When the city was destroyed and the volcano stopped rumbling, the Gamer Geeks cheered and endorsed the game. Pompeii: Wrath of Vesuvius was a real surprise for me. Like so many others in our test groups, I incorrectly judged the game based on its looks. There really isn’t much to the game to suggest what it’s all about. It’s only after you play a full game that you sit back, eyes wide, and say “Oh, now I get it”. There is much more to the game than meets the eye, but not a lot more. I don’t want to leave you with the impression that this is the greatest game in the world, because it certainly is not. What it is, however, is a very good game. It engages the players, provides quick game play, and challenges them from the very start. It kept all of us interested and happy, from the first step to the last. I always enjoy finding games like Pompeii: Wrath of Vesuvius. It reminds me that our hobby is filled with games that take up little space but provide big fun. This game is no exception and is, in fact, the very definition of a lightweight game that provide a heavy punch. It will challenge your memory, test your deduction skills, award you for secrecy, and makes heavy use of your intuition. Thanks to the short game play length, you can get in a number of games in a single evening, trying different tactics and subtly changing your strategy. Luck plays no role in the game, but you might find yourself wishing for some when it comes to the lava moving your way. Do try this game when you get a chance. I believe you’ll find it to be a hot time. Tagged Bluffing Games, Child Geek Approved, Deduction Games, Environmental Games, Father Geek Approved, Gamer Geek Approved, Parent Geek Approved, Prepublished Games, Renaissance Games. Bookmark the permalink.